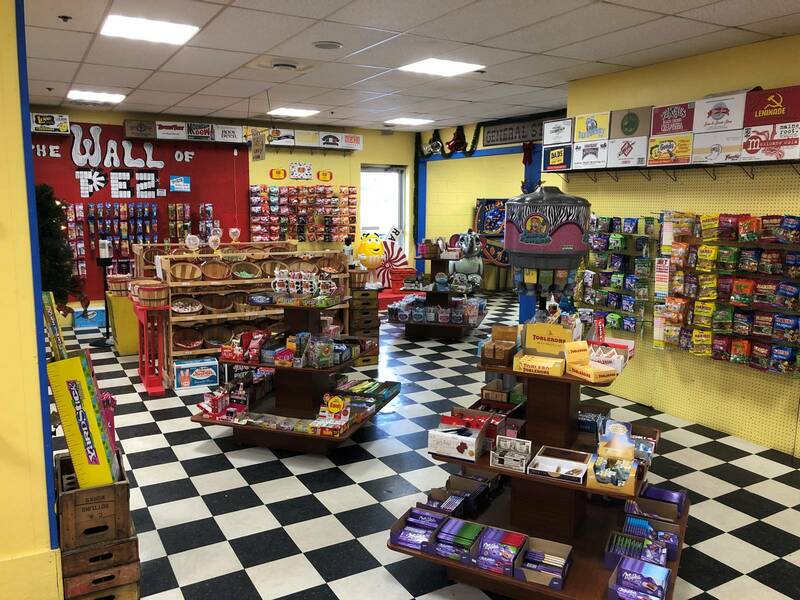 What does every good little (or big) boy and girl want for Christmas more than a fun afternoon out? Why, all the soda pop and sweets they can eat, of course! 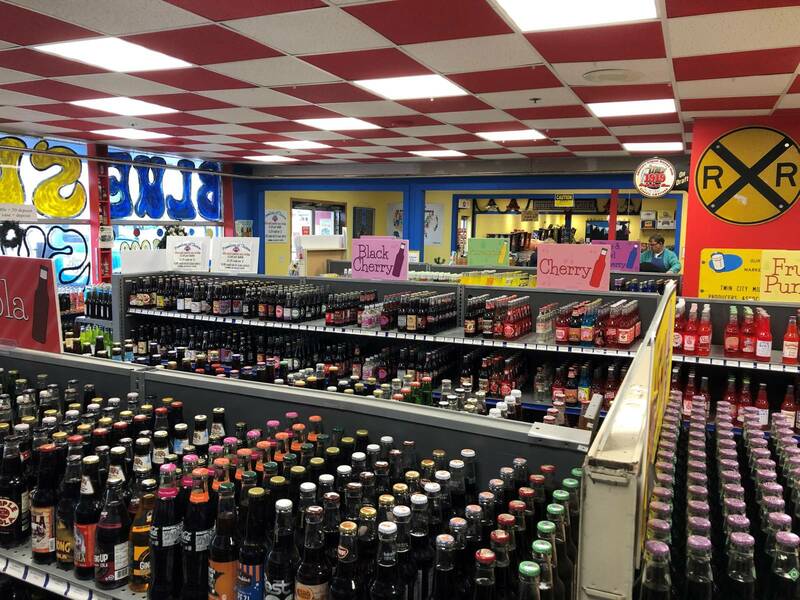 How about over one-thousand flavors of soda, along with candy from around the entire world? It’s enough sugary goodness to keep one in the holiday spirit all year long! 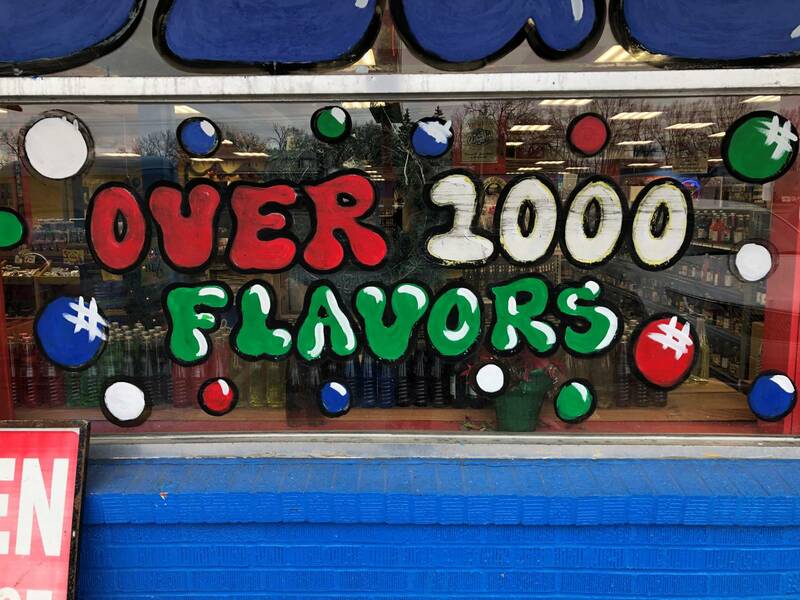 But you may want to stick to just one brand. 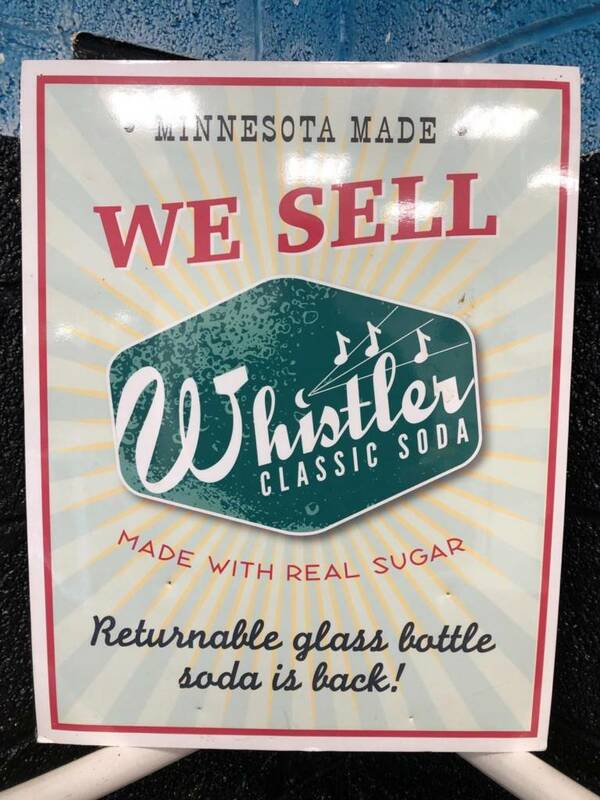 Whistler Classic Soda is bottled on site and is the most flavorful soda you have ever tasted! Still don’t believe us? Take a tour yourself. Tours are $5.00 per person when groups fill out to ten, or a $50.00 minimum. 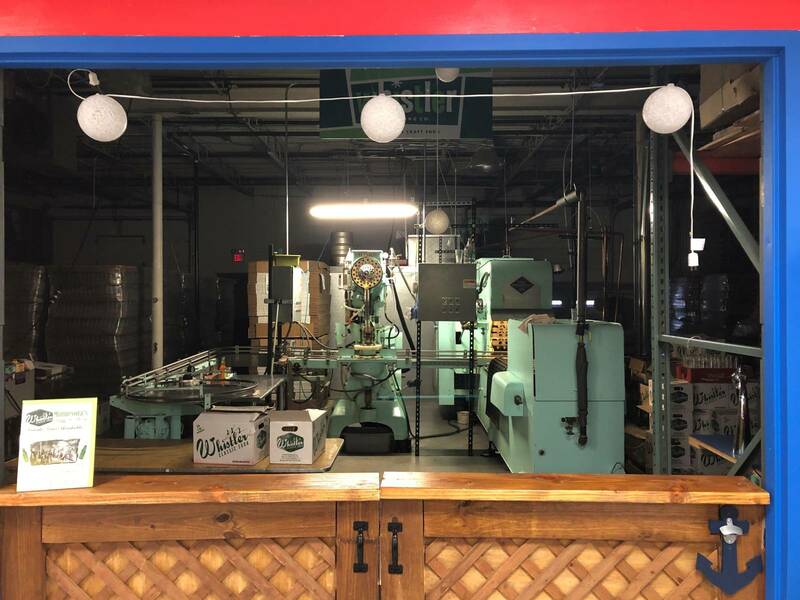 And, you get a bottle of Whistler soda at the end of your tour. What are we talking about? 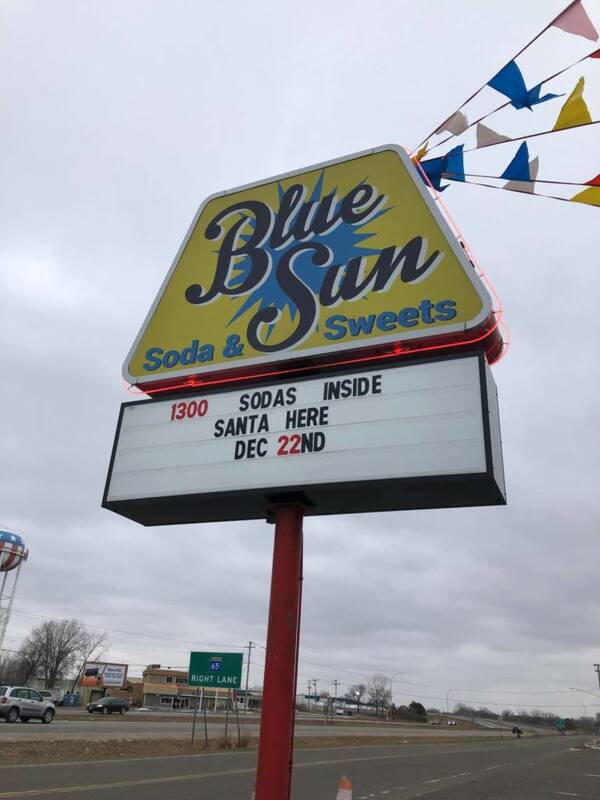 Well, the Blue Sun Soda & Sweet Shop in Spring Lake Park, MN, USA. 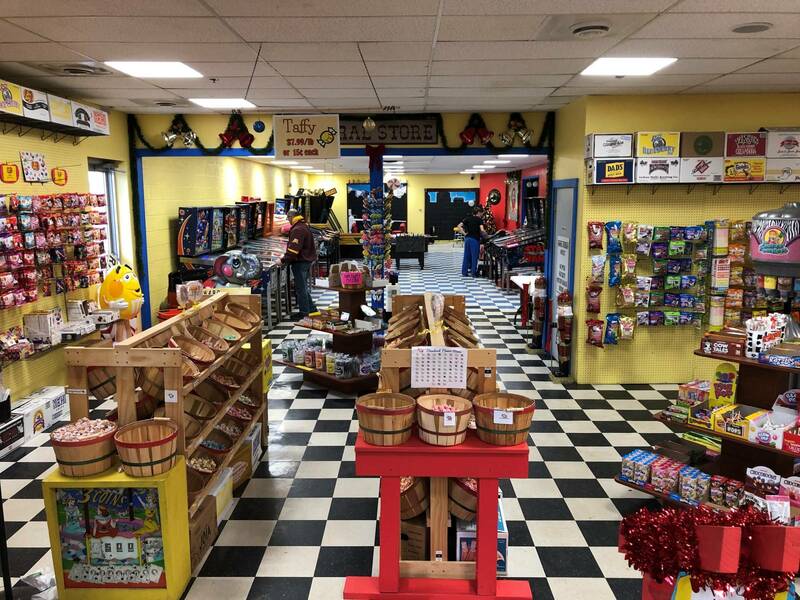 OK, maybe we still need to come down from our sugar rush, and get to telling you why your favorite online news source is reporting on a sweets shoppe. But, first one more hit of delicious Whistler soda. That’s right, we brought some home. And candy too. We have barely mentioned the candy. From unique to classic, they have it all! 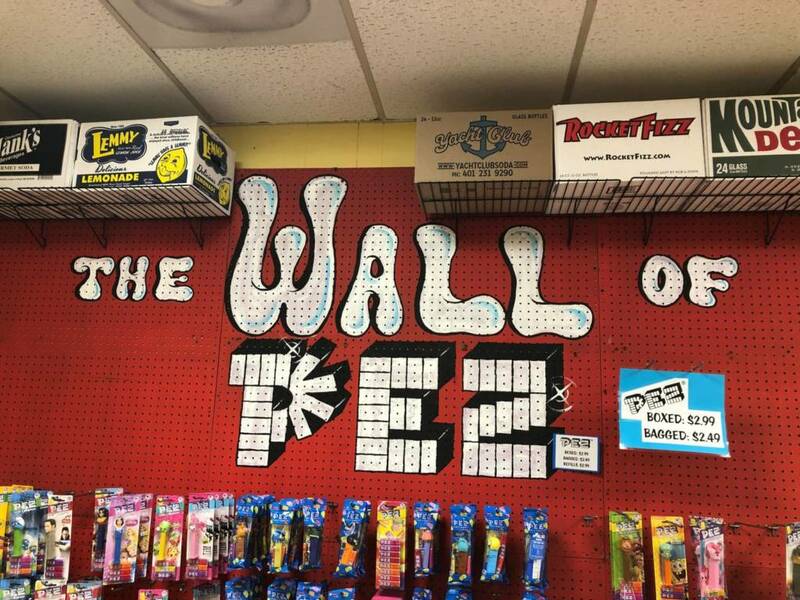 They have an entire “Wall of Pez”. 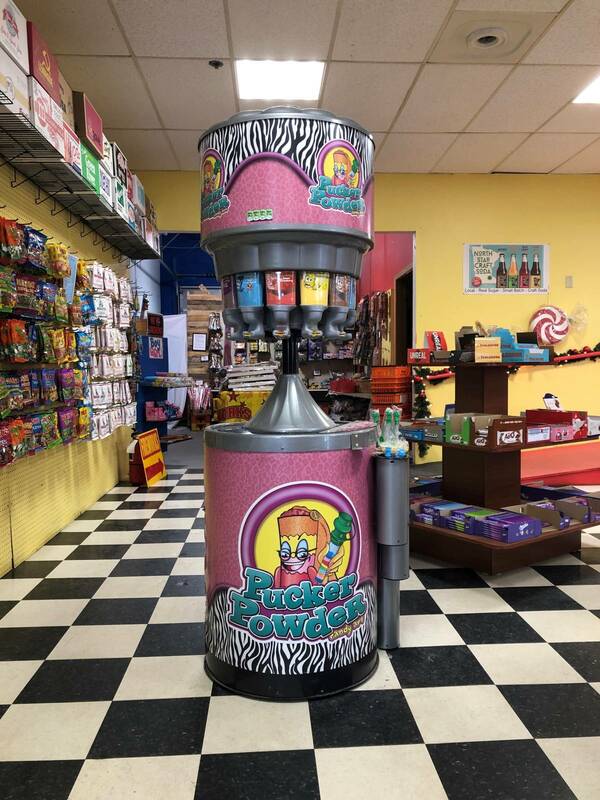 Have you ever seen a flippen wall of Pez? All the Pez that is the Pez that’s fit to Pez! Did we write “flippen”? Is that bad? Do we have to put money in the swear jar? Oh yea . . . flippen . 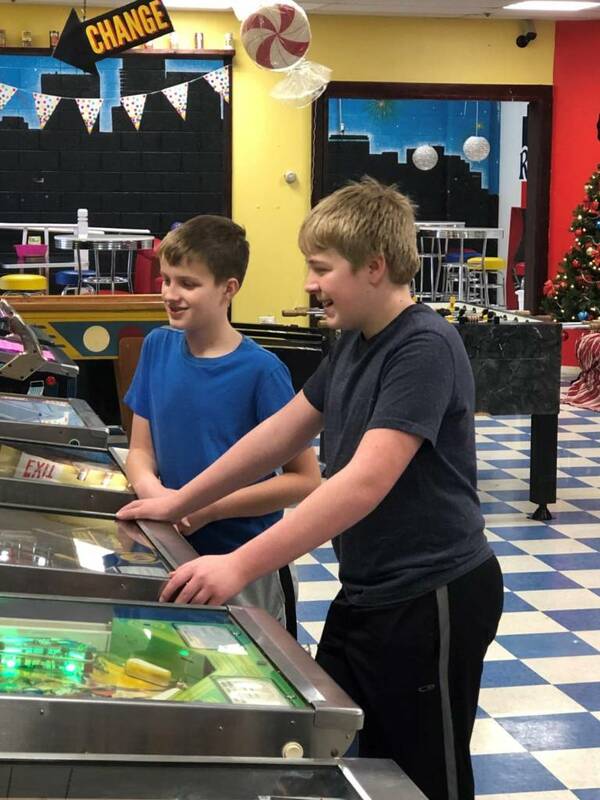 . . as in pinball; the reason you are probably reading this article. 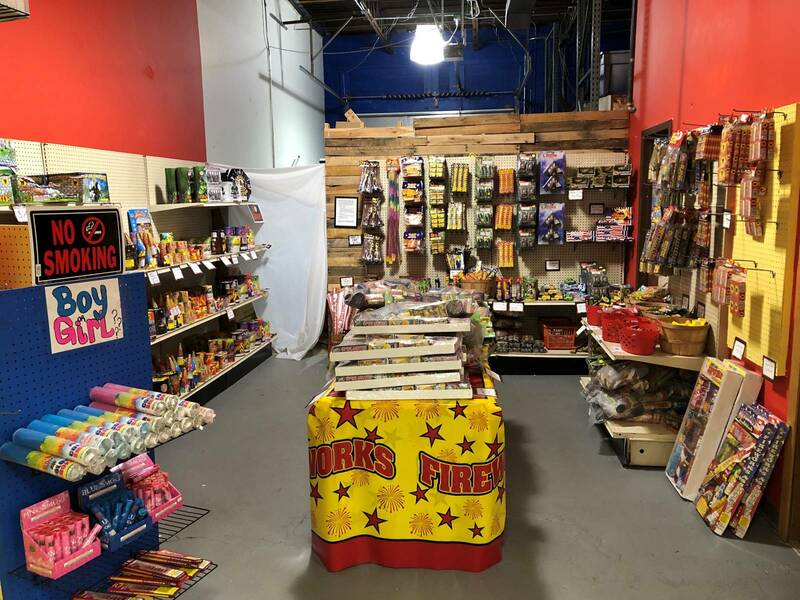 But did we tell you about the fireworks? 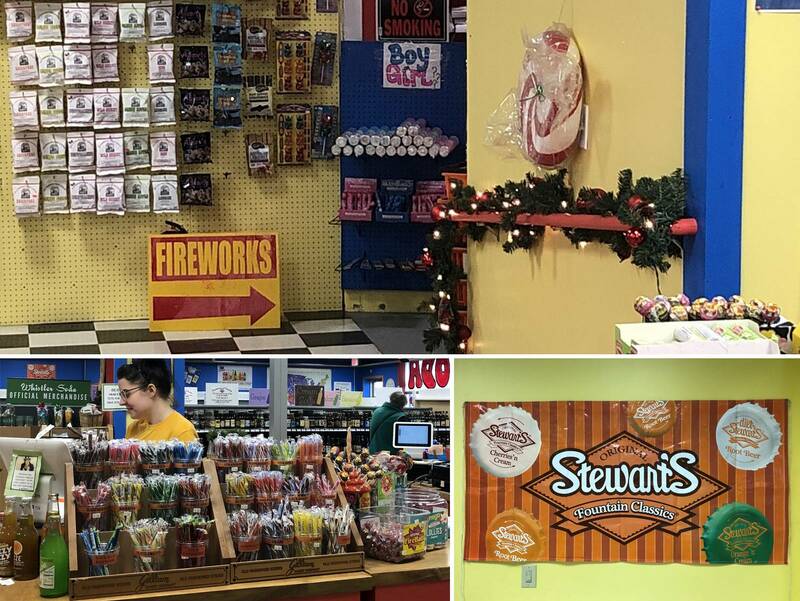 Fireworks and candy and pop, oh my! 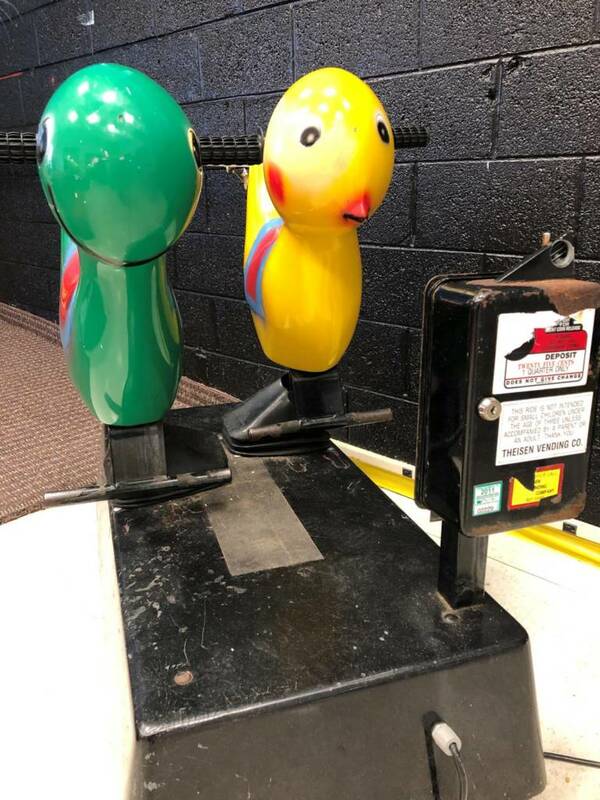 We can’t forget about the duck and snail big enough to ride. An elephant never forgets. 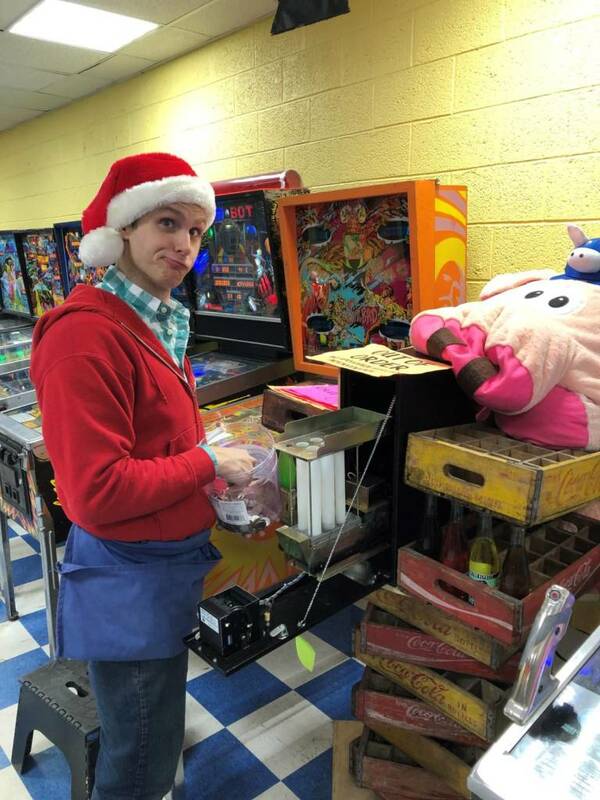 And we won’t forget to tell you about the pinball tie-in. But look at all . . . that . . . candy. We swore we weren’t going to forget to tell you something. But what was it? Maybe another soda to refresh our memory. Speaking of soda. Look at all that pop! 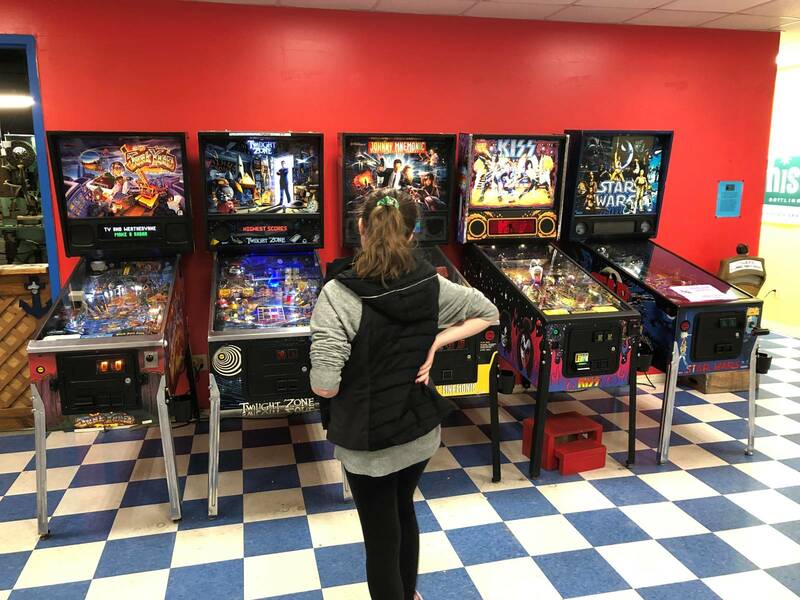 The pinball games proved more popular than the other games. 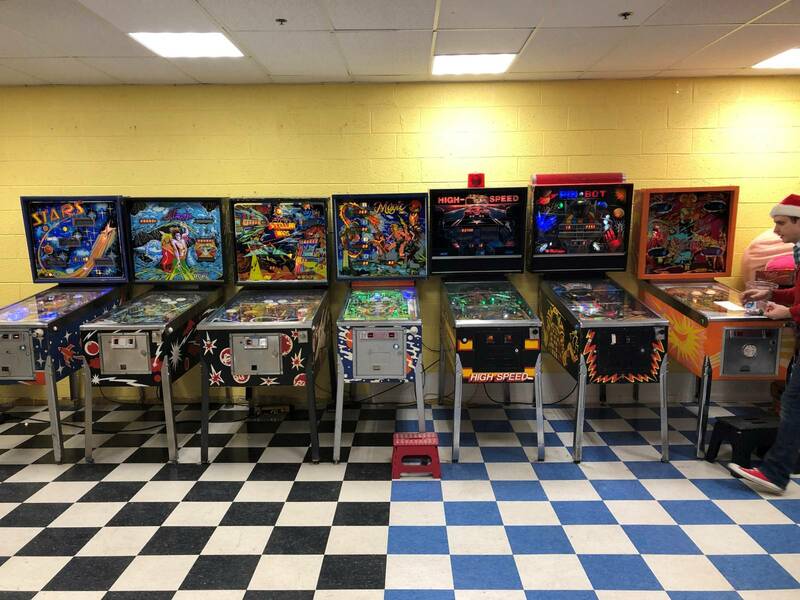 In fact, several did play many pinball games. Like a holiday stocking hung on the mantel with care, the change machine even had to be stuffed while we visited. The purpose of our trip to the Blue Sun Soda & Sweet Shop was mainly to get a case of soda for this year’s soon-upcoming holiday’s festivities. 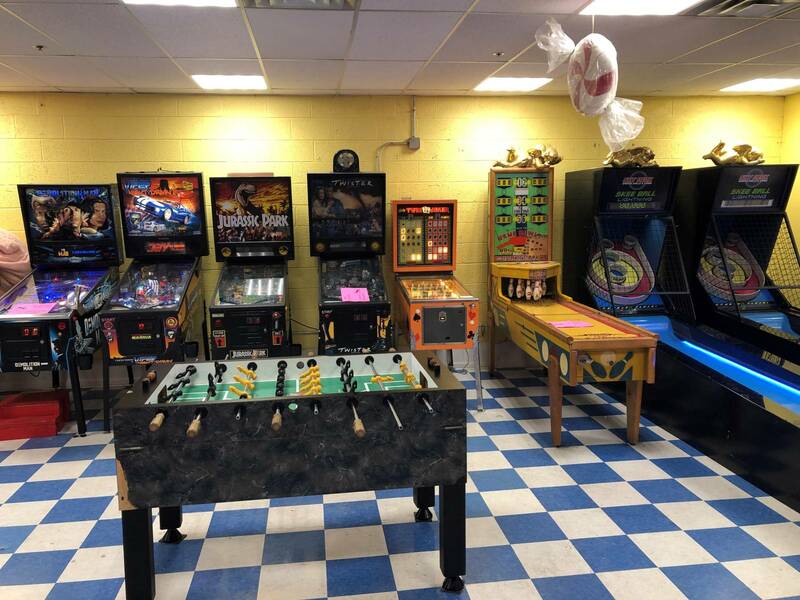 But we will be back to Blue Sun to play their eclectic collection of older and newer pinball machines in the near future. 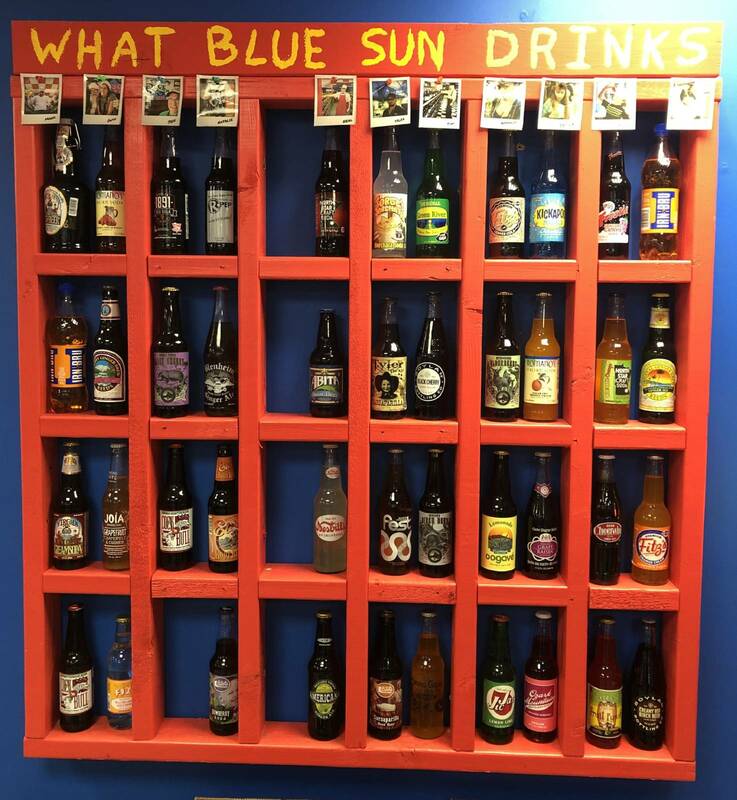 And, of course, to enjoy more of the world’s most flavorful soda – and try other flavors too. 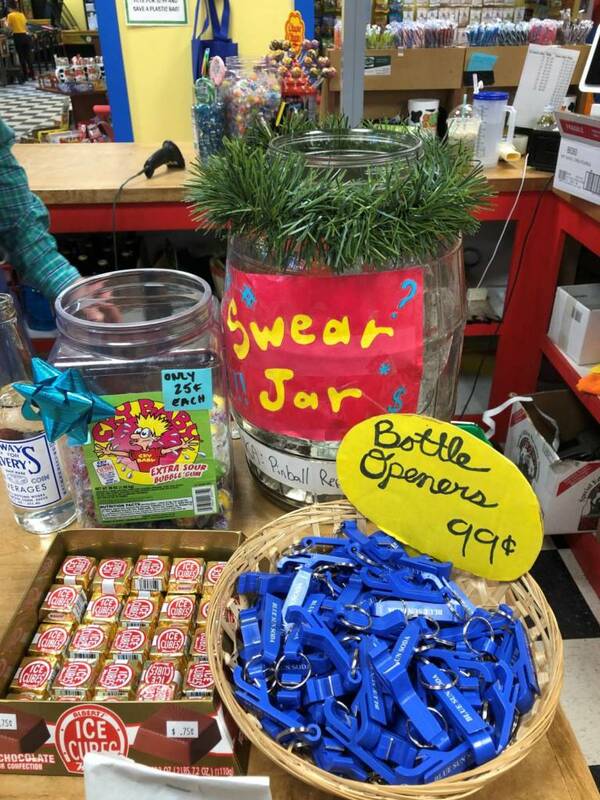 The entire store is cleverly decorated with such paraphernalia – maybe next time we can slow down and enjoy all the details rather than gulp it all in?